All aspects of mental health research (eg psychosis, depression, comorbidity, assessment, interventions, personality, psychosocial and risk factors, service use). Research design, measurement, and data analysis. Health service utilisation, patterns, barriers, and impacts. Mental illness and recovery have universal relevance. However, optimising equitable access to appropriate information and effective interventions is an ongoing challenge. Assisting others to develop their mental health research and evaluation expertise, to disseminate their findings appropriately, and to positively impact on the quality and availability of mental health interventions are my primary goals. Terry Lewin is a Research Psychologist with extensive experience in research design, data management and analysis. He has been actively engaged in psychosocial and clinical research since 1975, including 15 years with the Discipline of Psychiatry at the University of Newcastle (1983-1998) and 18 years in his current position as Research Manager for Hunter New England Mental Health (1998-present). He currently coordinates the MH-READ unit (Mental Health – Research, Evaluation, Analysis and Dissemination) within HNEMH. As well as being affiliated with HMRI, Terry is also a Conjoint Associate Professor with the Faculty of Health at the University of Newcastle (School of Medicine and Public Health) and is affiliated with the University’s Centre for Brain and Mental Health Research (CBMHR), the Schizophrenia Research Institute (SRI), Hunter Institute of Mental Health (HIMH) and the Centre for Rural and Remote Mental Health (CRRMH). Terry has been a Chief Investigator on 23 research grants, an Associate Investigator on a further 18 projects, and has approximately 180 research publications [Web of Science h-index: 31]. 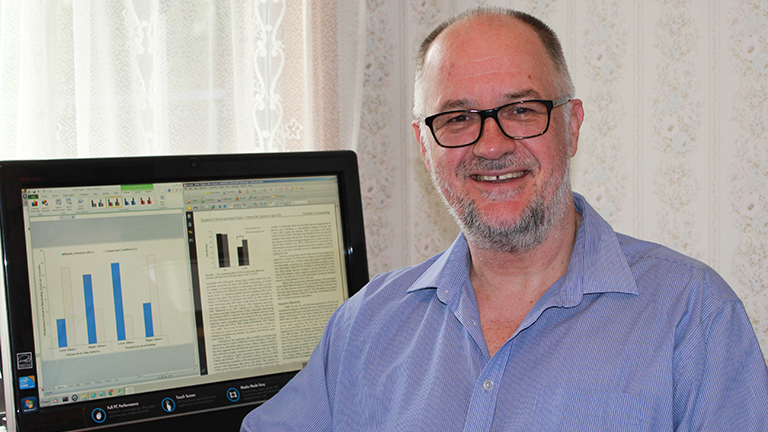 He has been a member of the Australasian Society for Psychiatric Research since 1984 (recently re-badged as the Society for Mental Health Research). Project involvement during the past five years includes: a range of psychosis studies (eg an audit of an early psychosis service; patterns of service use and associated costs); suicide and deliberate self-harm studies; psycho-oncology studies; adverse incidents among patients admitted to acute mental health facilities; various evaluations of CBT based interventions for depression, substance abuse, smoking and lifestyle factors; cognitive assessment studies; population and workforce mental health; and service evaluation projects assessing specific programs and services (eg recovery-oriented programs) and the impact of service changes. The MH-READ unit’s goals are to promote and facilitate the development and implementation of strategic clinical, service evaluation and related mental research within HNEMH and regional communities (eg improving the quality, uptake and impact of evidence-based interventions) and, concurrently, to maximise the value of existing partnerships between regional health services, the University of Newcastle and other relevant tertiary and community organisations. Improving outcomes for people with serious mental illness - through better access to quality, evidence-based interventions and related research findings. Society for Mental Health Research (SMHR).